Publicis earnings impress; Sanders and Clinton prepare for another debate; Obama on Ellen; Facebook puts space between itself and Marc Andreessen; Royal Caribbean apologizes after early end to trip; Twitter earnings disappoint -- again. 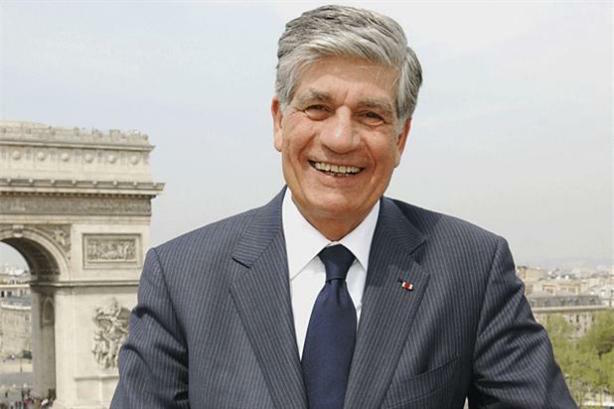 MSLGroup owner Publicis Groupe posted fourth-quarter and full-year 2015 earnings on Thursday morning that bested analysts’ expectations with 2.8% revenue growth in Q4 and 1.5% for all of 2015. Its shares were up 6% early Thursday on the numbers. Fresh off Bernie Sanders’ landslide primary win in New Hampshire on Tuesday, he and Hillary Clinton will face off in a debate on Tuesday night, this time in Milwaukee. It’ll air on local stations and stream live on the PBS NewsHour website. Also today: Will Obama dance on Ellen? President Barack Obama is set to record an appearance on Ellen on Thursday, prompting one big question: will he be the first president to dance on the show? He gave an interview to the Los Angeles Times this week, expressing some regret for legislative gridlock. The social network issued a statement strongly disagreeing with investor Marc Andreessen on Wednesday after he seemed to indicate support for the colonization of India. Mark Zuckerberg denounced Andreesson’s comments on his Facebook page. Andreessen has apologized. The cruise line issued a mea culpa to passengers after its Anthem of the Seas returned to New Jersey early after encountering terrifyingly rough seas off the coast of North Carolina. The 6,000 passengers on board faced winds of up to 125 mph. "We have to do better," the company said. Twitter’s fourth-quarter and full-year 2015 earnings made investors gasp on Wednesday afternoon, with its user base actually shrinking in the fourth quarter by 2 million. (Investors have been keeping a close eye on user numbers). CEO Jack Dorsey said he’ll simplify the platform. The remaining Republican candidates — Chris Christie and Carly Fiorina dropped out on Wednesday — are adjusting to South Carolina’s often-nasty political environment. Clinton and Sanders are vying for pivotal black and Hispanic voters in the state and in Nevada.